Rajasthan is one state where odds have been against the BJP these elections. With several pre-poll surveys predicting loss for the ruling party BJP, the Congress is hoping to oust the Vasundhara Raje government. A series of four campaigns targeted the BJP administration over a series of issues, with employment generation taking precedence. 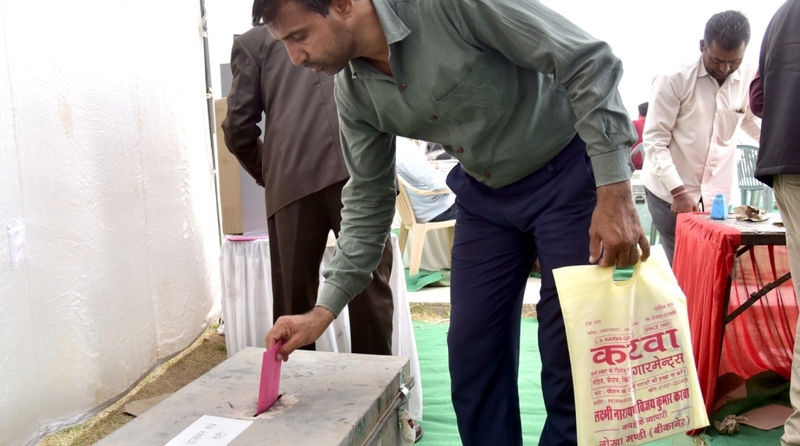 The campaigns – ‘Rajasthan Ka Report Card’, ‘Rajasthan Jan Ghoshna Patra’, ‘Vijayi Bhav Rajasthan’ and ‘Jhooth Par Chott, Sach Ko Vote’ – were designed to gauge the nerve of the electorate ahead of the Assembly elections in the state where the BJP is facing anti-incumbency. People in poll-bound Rajasthan are deeply concerned about jobs, followed by women safety and “corruption under the BJP rule”. These are the findings of the campaigns, which were conducted by DesignBoxed – a political digital campaign management company. According to the campaign creators, responders expressed concerns about MSP and loan waiver and pointed to a need for better healthcare facilities, women safety, public accountability for effective redressal of problems, cattle management, job opportunities in small scale industries among others. According to DesignBoxed, the schemes rolled out by the incumbent regime have failed to reach the common people, hence stagnating growth and development was another concern put forth by the people. The campaigns were developed by DesignBoxed director and political strategist Naresh Arora, who was also behind the Janghoshna Patra Chhattisgarh. The poll strategist has been working on the campaigns with Congress’ Sachin Pilot and Harish Choudhary in Rajasthan. ‘Rajasthan Ka Report Card’ highlighted ground level issues persisting in BJP constituencies giving an insight into the failures of incumbent regime. There were over 2 lakh suggestions for ‘Rajasthan Jan Ghoshna Patra’, which aimed at making people the primary stakeholders in framing their own manifesto. ‘Vijayi Bhav Rajasthan’ and ‘Jhooth Par Chott, Sach Ko Vote’ revealed that people are questioning BJP’s governance and its policies. The four campaigns garnered over 10 million engagements, with ‘Rajasthan Jan Ghoshna Patra’ alone amassing more than 2 lakh suggestions. Rajasthan goes to polls on 7 December 2018.